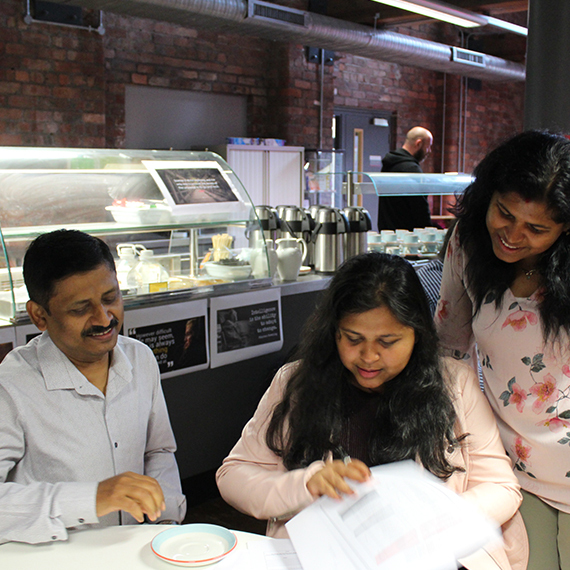 Liverpool Life Sciences UTC students are this morning celebrating fantastic GCSE results, particularly in our specialist areas of science, maths and healthcare, preparing them for future careers in STEMM. 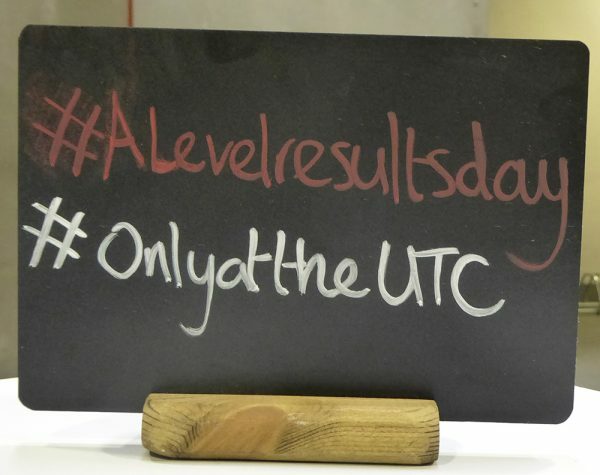 Science results were particularly strong at the UTC with 99.4% of separate science students passing all three sciences. 90.5% achieved a strong pass and 99.4% achieved a standard pass, up considerably from the previous year. 94% of students sitting combined science at GCSE achieved at least a pass. Maths results also significantly improved on 2017 results with three students from 69 achieving a grade 9.55% achieved a strong pass and 65% achieved a standard pass (grade 4 or above), up 16% from the previous year. 76% of students achieved a grade 4 or above in English. Maths, science and English GCSEs were above national average for both good and standard passes. 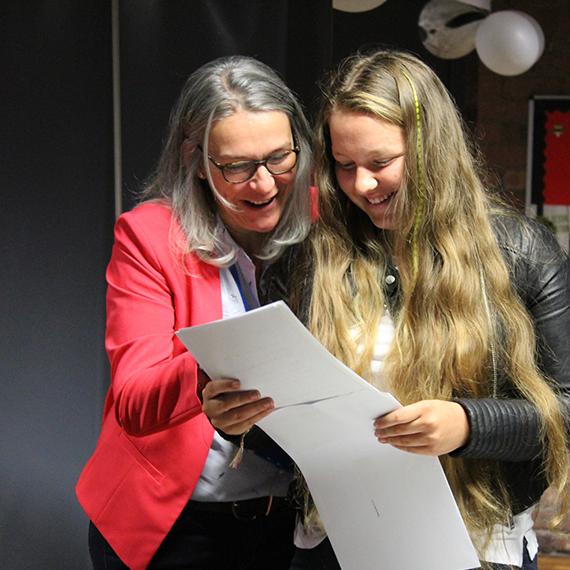 Over 50% of UTC students achieved a grade 5 or above in both English and maths at GCSE. Health and social care students achieved exceptional results at Level 2, with 73% securing a distinction or higher in the new harder BTEC qualifications. This is a testament to the hard work of the students, the team and the support the UTC receive from organisations including The Royal Liverpool and Broadgreen University Hospital who will be very much looking forward to working with these young people in the future. Samrudi, Kerry, Daniel, Sara and Joanne achieved five or more GCSEs at grade 8 or above, equivalent to the old A* grades, an incredible achievement. Joanne, Grace, Sam, Rose and Awad achieved the most progress at GCSE level. The UTC has shown significant improvement in its Progress 8 number, increasing from -0.83 in 2017 to -0.11 this year, which is a massive achievement due to the small amount of time that students are on roll at the UTC before sitting their GCSEs. Congratulations go to Eliza who achieved a straight suite of 7s or above alongside an AS Level in geography at grade B. Kacper also achieved a full house of 7s or above alongside an AS Level in history at grade B. This is an incredible achievement as both students have completed their AS level a year early as well as fabulous results in their GCSEs. This is a massive success for both our young people and the local growth sector, supporting the economy of the Liverpool City Region for the future. Strong GCSEs in maths and science are the foundation of creating a skilled future workforce for the new and increasingly complex roles in life sciences, advanced manufacturing, renewable energies and health care, so we’re delighted to be opening the door to the jobs of tomorrow for our students. Massive congratulations to Isaac Akinduro, Rhianon Disley, Caleb Doyle, Ben Holt, Anastasia Walker and Jodie Whorton who all secured a full house of A and A* grades at A Level. Huge congratulations too to Lauren Walker, Hebron Tedros, Alaa Sufian, Abdi Sureedo, Danah Al Shibani, Dean Brett, Amy Coghlan, Lily Fagan, Beth Gilbranks, Emily Gray, Najnein Hossain, Radhika Joshi, Charlie King, Tayla Mangan, Ahmed Mohammed, Hope Rogers, Melissa Sing, Ryan Siner, Renee Spence, Ben Stout for a full suite of D* and Ds. Our students are heading for a fantastic range of destinations, including Medicine at St Andrews and Sheffield, Midwifery at LJMU, Nursing at UCLan and University of Liverpool, Social Work at Hope, Mechanical Engineering at University of Liverpool, Psychology at Durham, Paramedic Science at UCLan, Veterinary Nursing at the Royal Vet School, Mental Health Nursing at Edge Hill and Maths at Edinburgh. Once again we’re again immensely proud of all of our Life Science UTC students, who’ve secured a fantastic range of results at the end of their sixth form experience with us. Our list of destinations is equivalent to any independent school and we’re absolutely delighted that our young people have been able to benefit from a range of academic and real world experiences that have prepared them for the jobs of tomorrow.